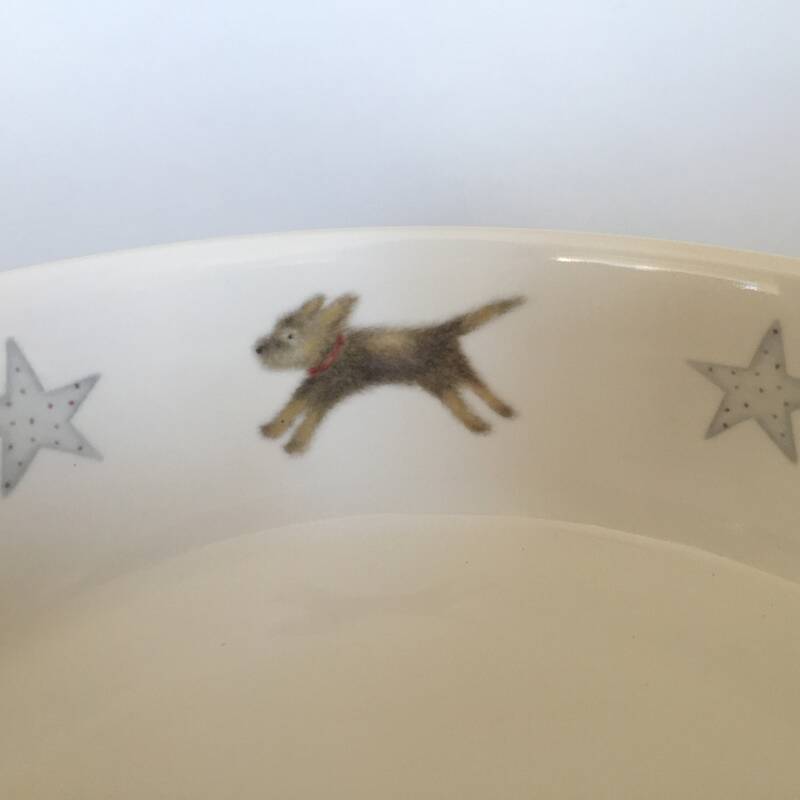 A beautiful bone china dog bowl hand decorated with a flying border terrier and little blue stars. The images are taken from my watercolour and crayon illustrations and made into ceramic decals. They are then applied by hand to the bowl and fired to a high temperature for a permanent finish. 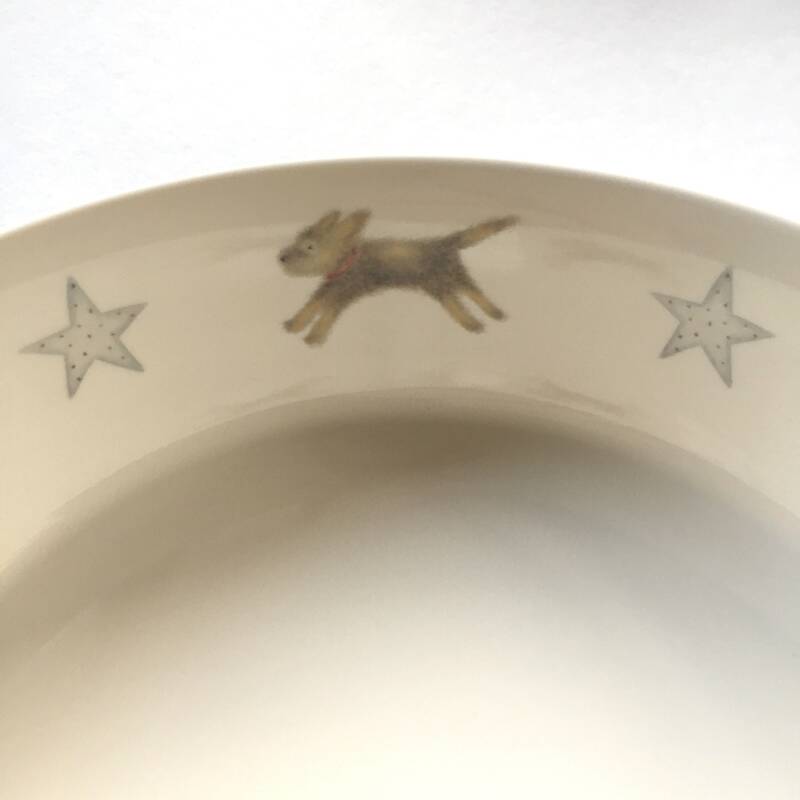 The bowl is a lovely creamy white and perfect for the discerning Border Terrier owner. The first, main photograph is the most representative of colour. 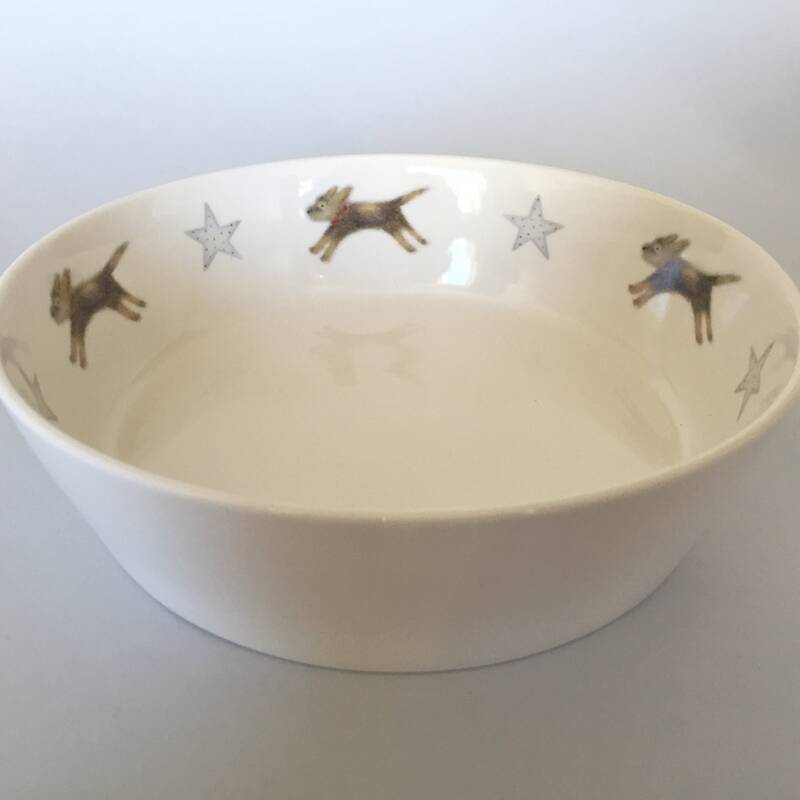 This heavy weight bowl is perfect for a medium sized dog (my border terrier Boris is very pleased with his and so he should be - it's based on him! ) 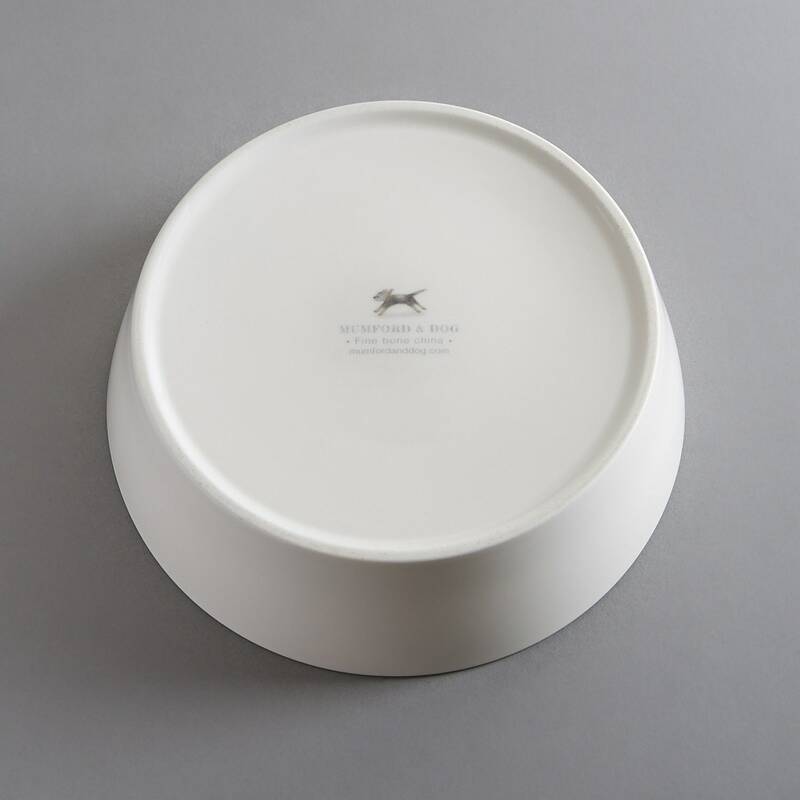 The bowl measures 20cm diameter by 6cm high. 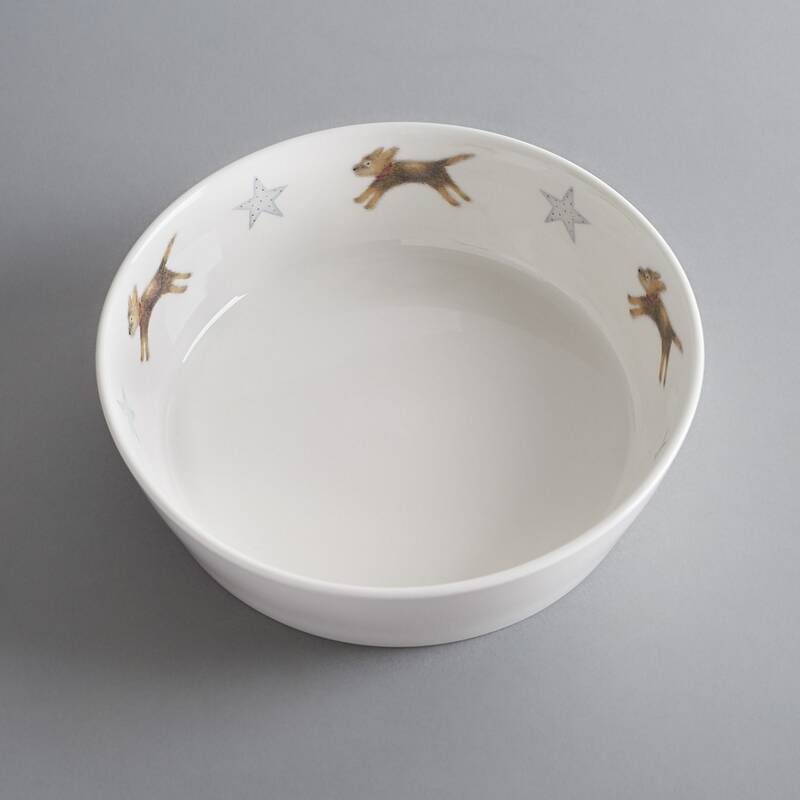 The bowl is dishwasher safe and makes a great new puppy present or even better - a welcome gift for a rescue dog. 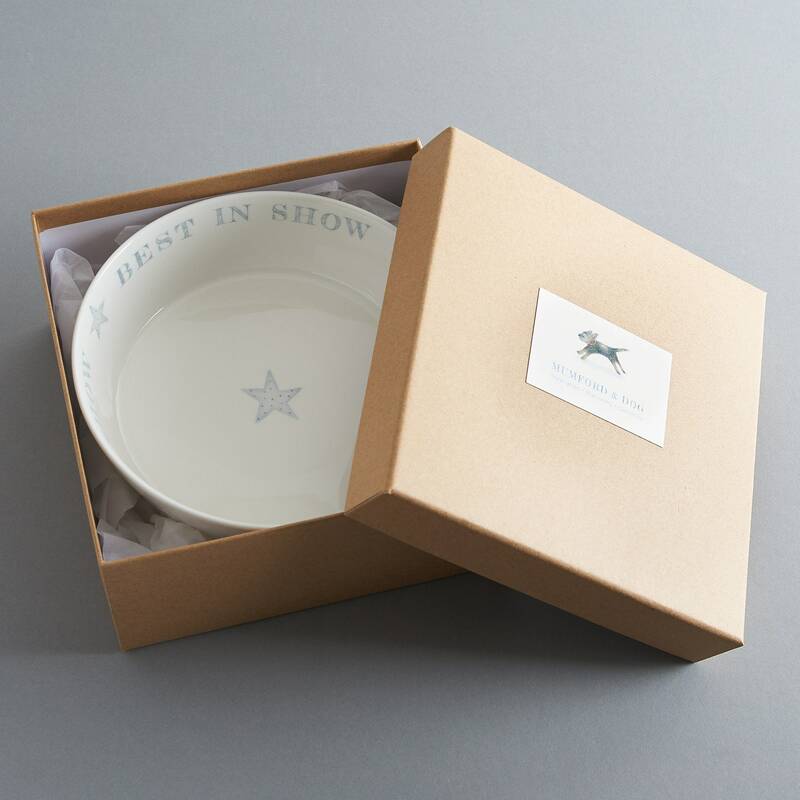 A lovely quality solid gift box is also available for £4, please choose this option from the pull down menu if required. 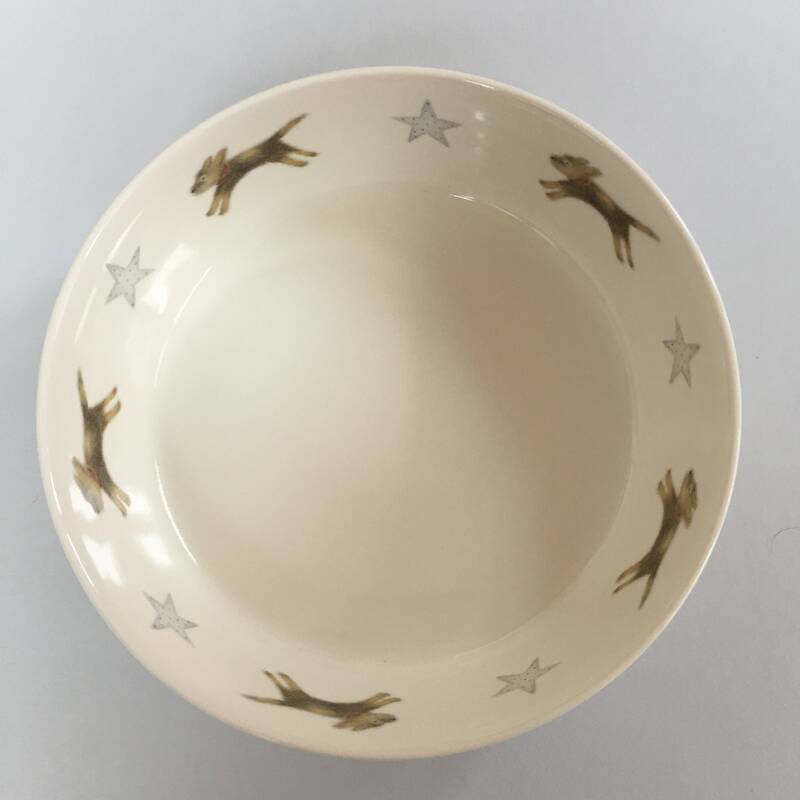 The bowl is sent in sturdy packaging with FRAGILE taped all over it and is able to withstand being thrown about at the sorting office. Which is just as well.